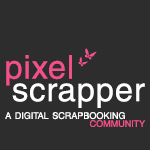 I recently started working as the Scrapbooking Tutor at for a local shop, I am so excited but it is proving a challenge. 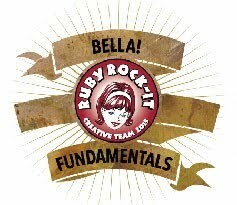 I am so happy to be tutoring, I love sharing my love of memory preservation. I believe everyone is a artist but some of us need tools to help for various reasons and for me scrapbooking helped me discover I have a creative artistic side that previously I hadn't been able to express due to my hand issues. 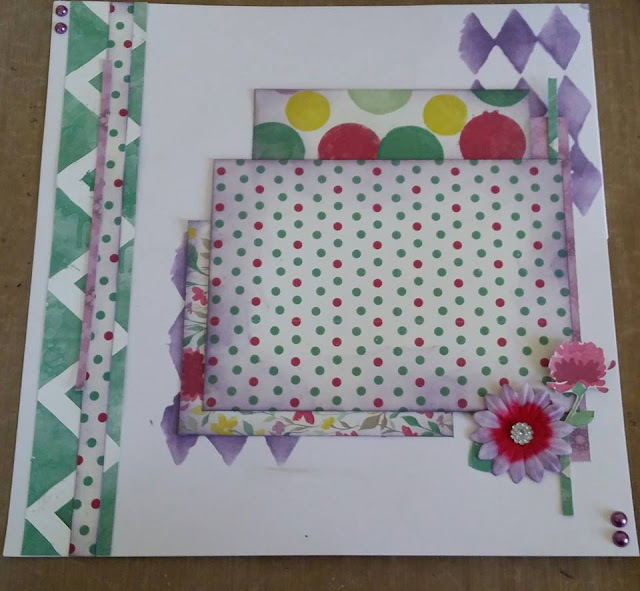 I have a mixed class of beginners and advanced scrappers so I tried to design layouts for the first month that will build beginners skills so that in the last week we can do a beginners mixed media layout. 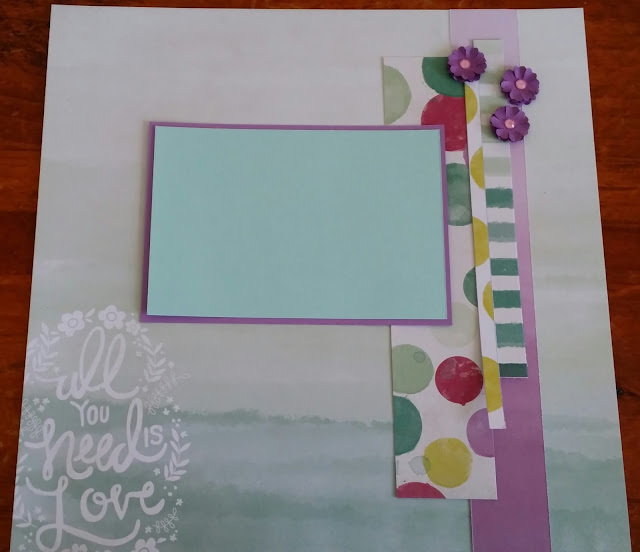 I decided to work with one paper range per month and coordinating cardstock and embellishments so that we can see some of the different ways we can use each range. 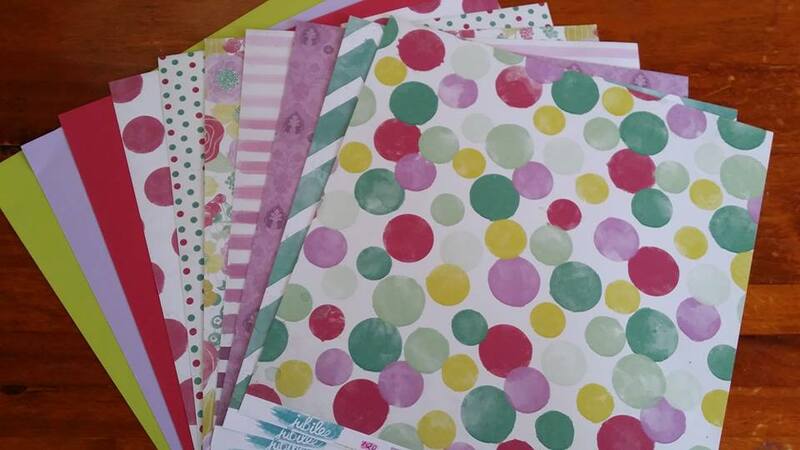 I am absolutely loving working with the MME Jubilee Sherbet range, I love the colours, the quality and the designs. WEEK 1 I included some budget saving tips and how to make 2 types of flowers with Scallop Circles Punches. 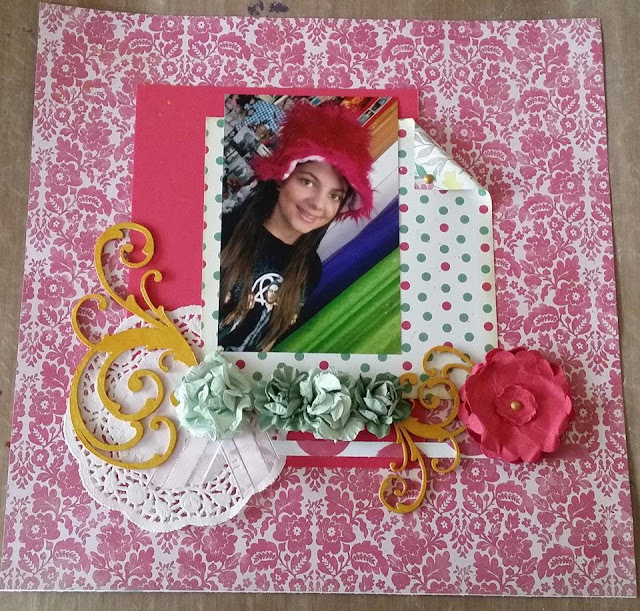 I allowed room for journaling to tell the story of the photos. 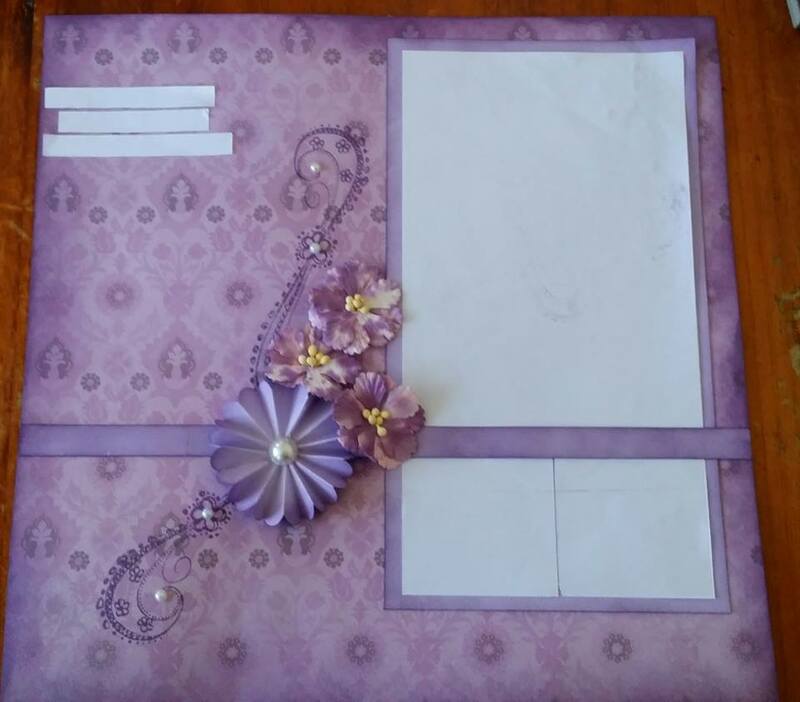 Die Cut Titles were added to the pages where necessary. 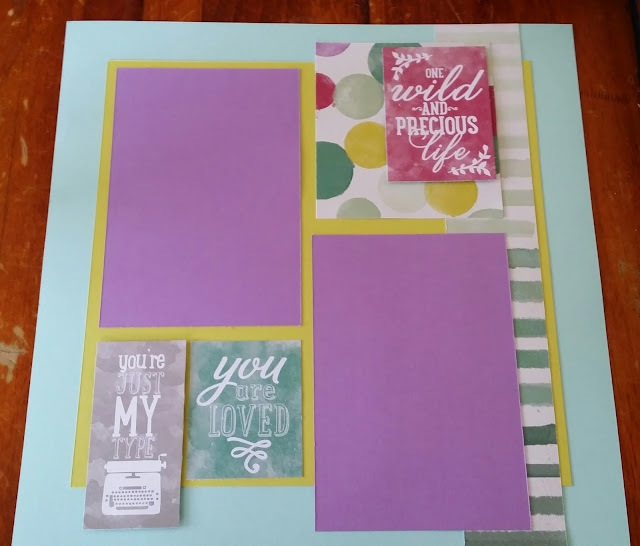 Week 2 I love purple so I really enjoyed creating week 2's layouts, basic stamping and inking was introduced as well as fussy cutting and doodling. 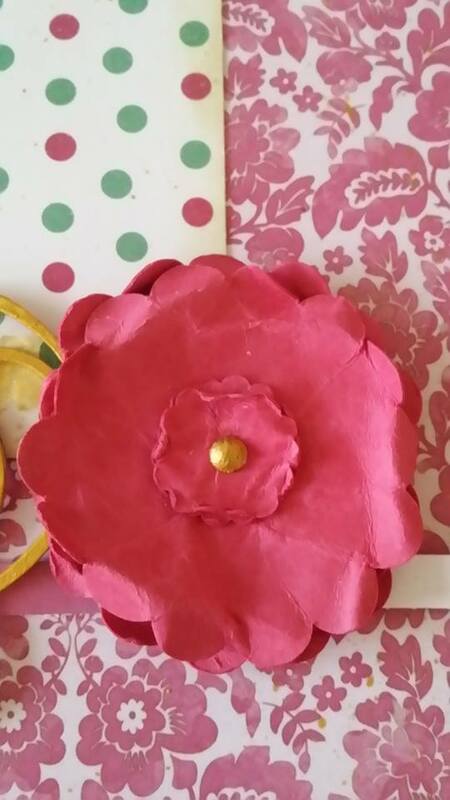 We made a simple accordian flower using 2 large Scallop Circles. 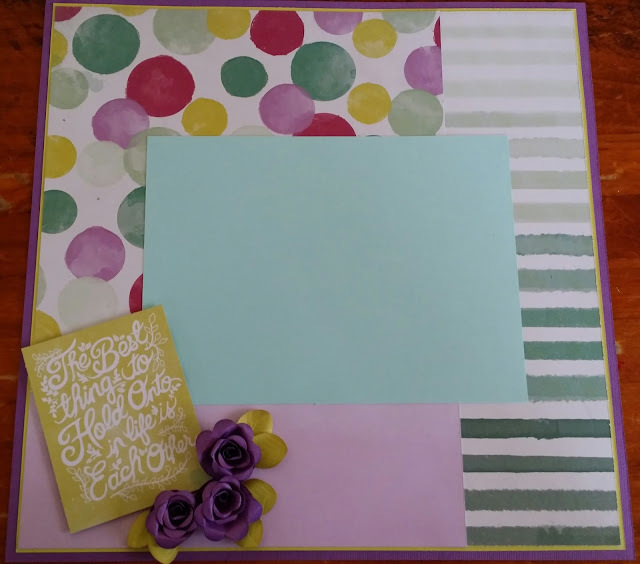 Week 3 This week we will use a versatile stencil called Harlequin Circles, covered colouring store bought paper flowers to coordinate with our layout. 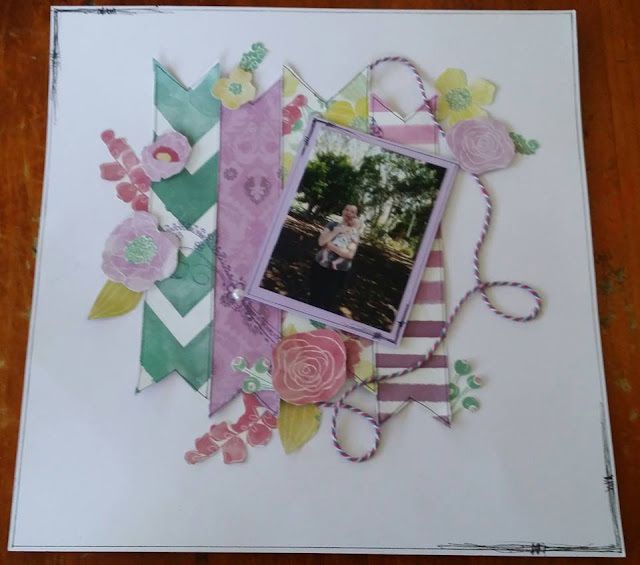 As with previous weeks we are discussing balance, layers and how to enhance the story of the photo using journalling, paper selection, embellishment selection, etc. 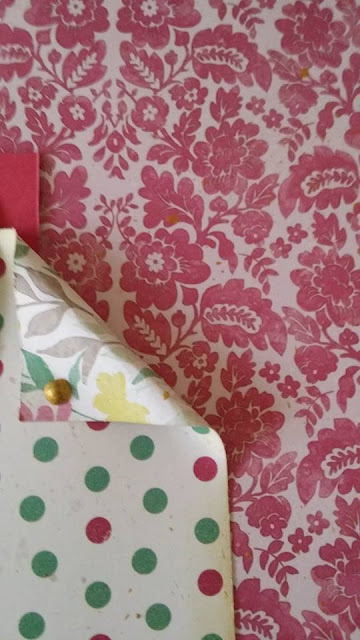 Handy Hint when using Dye Based Inks if you wish to ensure they won't run if your layout gets wet then apply some clear embossing powder while the ink is still wet, shake off excess and heat set. Final Week Introducing chipboard, lovely gold paint in a beginner level mixed media layout of sorts. 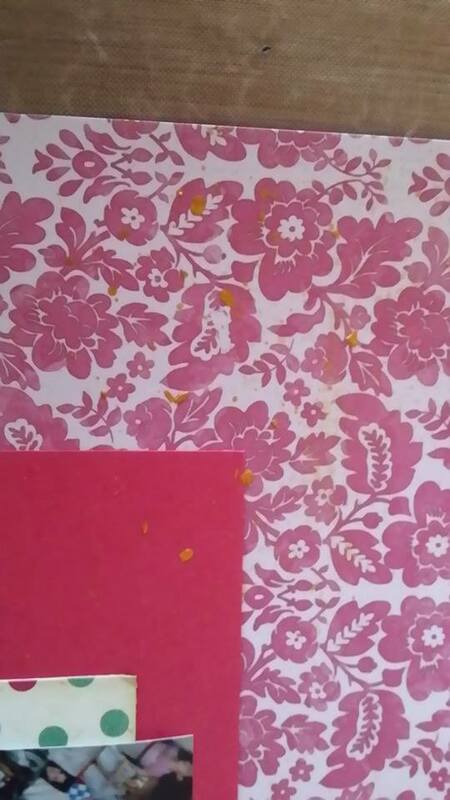 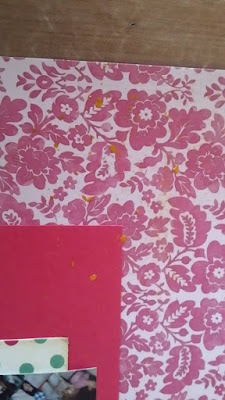 Love this gold paint, we will not only be painting our chipboard with it but splattering it on our layout. Making a simple but cute flower with the Scallop Circle Punches. Next Month we will be using Simple Stories Documented Life papers.